Harmonic proportions and balanced forms are not only an advantage in design, but also on the human body. The perfectly shaped, electronic scale from Stefano Giovannoni now combines both. Weighing yourself on it will even be fun when the red illuminated numbers on the LED-display are not a cause for celebration. 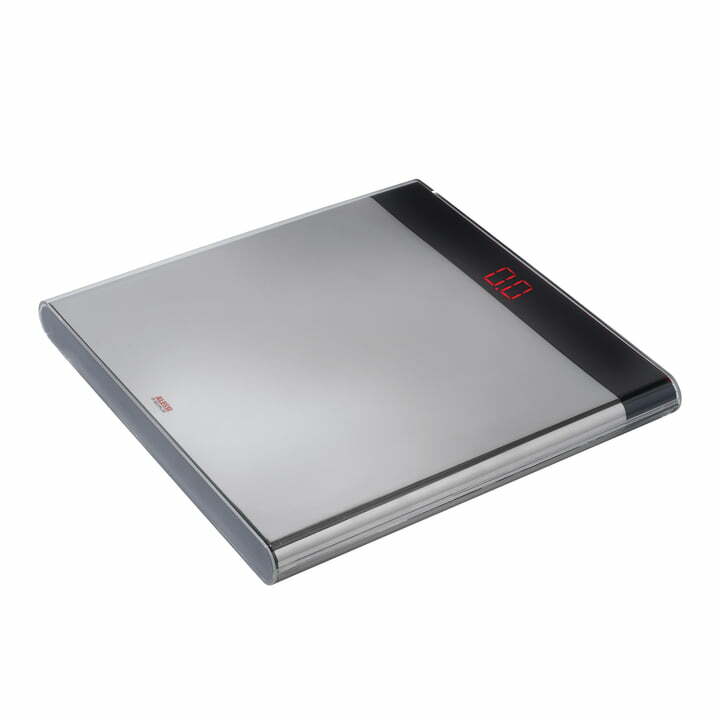 The scale made completely from stainless steel is a decoration for every bathroom. 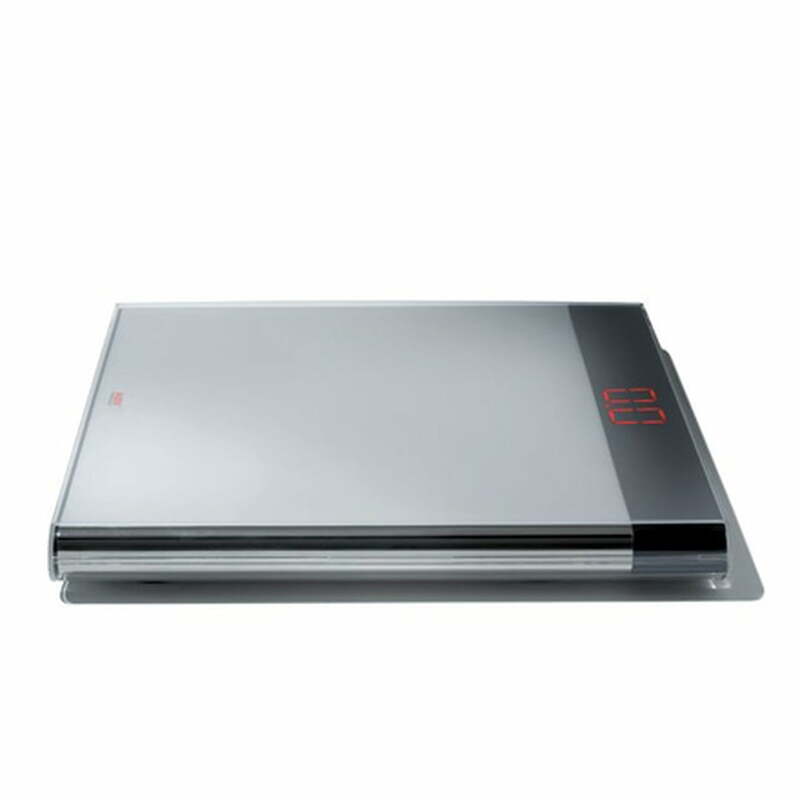 In order to avoid footprints on the polished stainless steel surface, it is covered with a transparent protection film. For a few years Alessi has been expanding its programme with electronic household devices. The designer Stefano Giovannoni, who has already worked in close cooperation with the company since the 1980s, plays a significant role in this regard. 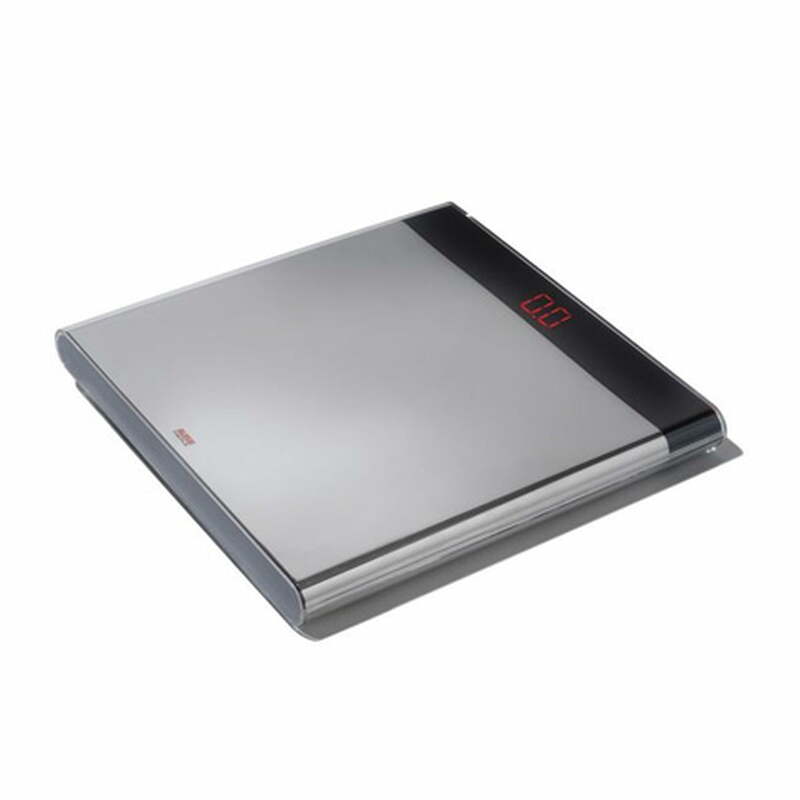 After the extremely successful designs for a juice press, a kitchen scale (honoured with the Design Plus Award 2005) and a battery-powered vacuum cleaner, the electronic scale will surely also become a fast seller in the Alessi programme.